Now that the dust is settling following the tumultuous mid-term election cycle and its confusing and disheartening immediate aftermath, it appears time for Republican conservatives to face up to the next two years of Democratic leadership in the House of Representatives. While Rep. Maxine Waters calls the President names and accuses him of racism, she is silent about the Democrat Mayor of Chicago with a murder rate for blacks equaling those of Central and South American cities. Besides the prospect of one of the House’s biggest leakers — Adam “Shifty” Schiff — being the chairman of the intelligence committee and one of the most deceptive lawmakers in history — Nancy Pelosi — returning as the Speaker of the House, the thought of one of the most ethically-challenged politicians in history heading the House Financial Services Committee is already meeting disfavor and negative attention. Considering her record and documented history of poor ethical and moral fitness, it’s outrageous that Maxine Waters is up for chair of the ultra-powerful House Financial Services Committee, which has jurisdiction over the country’s banking system, economy, housing, and insurance. With Democrats taking control of the House of Representatives, come January the 14-term California congresswoman is expected to head the committee, which also has jurisdiction over monetary policy, international finance, and efforts to combat terrorist financing. Throughout her scurrilous political career, Waters has been the subject of numerous controversies, including abusing her power to enrich family members, getting a communist dictator to harbor a cop-murdering Black Panther fugitive still wanted by the Federal Bureau of Investigation (FBI) and accusing the Central Intelligence Agency (CIA) of selling crack cocaine in black neighborhoods. A few months ago, the 80-year-old Democrat from Los Angeles encouraged violence against Trump administration cabinet members. “If you see anybody from that Cabinet in a restaurant, in a department store, at a gasoline station, you get out and you create a crowd and you push back on them and you tell them they are not welcome anymore, anywhere,” Waters said at a summer rally in Los Angeles. 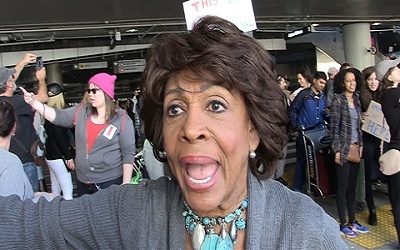 Judicial Watch filed a House ethics complaint against Waters for encouraging violence against Trump Cabinet members. Among her most corrupt acts as a federal legislator is steering millions of federal bailout dollars to her husband’s failing bank, OneUnited. Waters allocated $12 million to the Massachusetts bank in which she and her board member husband held shares. OneUnited subsequently got shut down by the government and American taxpayers got stiffed for the millions. Judicial Watch investigated the scandal and obtained documents from the U.S. Treasury related to the controversial bailout. The famously remiss House Ethics Committee, which is charged with investigating and punishing corrupt lawmakers like Waters, found that she committed no wrongdoing. 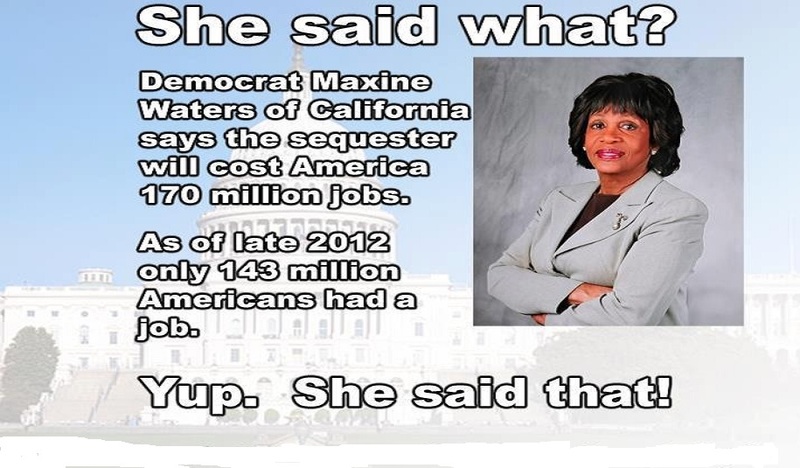 The panel bought Waters’ absurd story that she allocated the money as part of her longtime work to promote opportunity for minority-owned businesses and lending in underserved communities even though her husband’s bank was located thousands of miles away from the south Los Angeles neighborhoods she represents in Congress. The reality is that without intervention by Waters OneUnited was an extremely unlikely candidate for a government bailout through the disastrous Troubled Asset Relief Program (TARP). The Treasury Department warned that it would only provide bailout funds to healthy banks to jump-start lending and OneUnited clearly didn’t meet that criteria. Documents uncovered by Judicial Watch detail the deplorable financial condition of OneUnited at the time of the government cash infusion. The records also show that, prior to the bailout, the bank received a “less than satisfactory rating.” Incredibly, after that scandal Waters was chosen by her colleagues to hold a ranking position on the House Financial Services Committee she will soon chair. The only consequence for blowing $12 million on her husband’s failing bank was a slap on the hand to Waters’ chief of staff (her grandson) for violating House standards of conduct to help OneUnited. 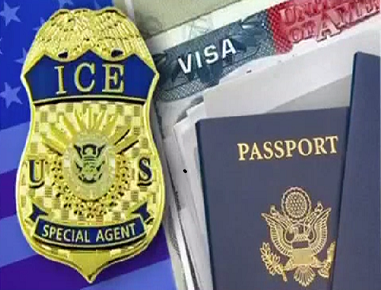 Maxine Waters and other Democrats have compared ICE to the Gestapo, the KKK and ISIS. Waters, who represents some of Los Angeles’ poorest inner-city neighborhoods, has also helped family members make more than $1 million through business ventures with companies and causes that she has helped, according to her hometown newspaper. While she and her relatives get richer (she lives in a $4.5 million Los Angeles mansion), her constituents get poorer. The congresswoman was also embroiled in a fundraising scandal for skirting federal election rules with a shady gimmick that allows unlimited donations from certain contributors. Instead of raising most of her campaign funds from individuals or political action committees, Waters sells her endorsement to other politicians and political causes for as much as $45,000 a pop. It wouldn’t be right to part without also noting some of Waters’ international accolades. She has made worldwide headlines for her frequent trips to communist Cuba to visit her convicted cop-assassin friend, Joanne Chesimard, who appears on the FBI’s most wanted list and is also known by her Black Panther name of Assata Shakur. Chesimard was sentenced to life in prison after being convicted by a jury of the 1979 murder of a New Jersey State Trooper. With the help of fellow cult members, she escaped from jail and fled to Cuba. Outraged U.S. lawmakers insisted she be extradited but Waters always stood by her side, likening the cop-assassin to civil rights leader Martin Luther King. In fact, Waters wrote Cuban Dictator Fidel Castro a letter to assure him that she was not part of the group of U.S. legislators who voted for a resolution to extradite the cop murderer. Waters told Castro that she opposed extradition because Chesimard was “politically persecuted” in the U.S. and simply seeking political asylum in Havana, where she still lives. In the 1980s Waters accused the CIA of selling crack cocaine to blacks in her south-central Los Angeles district to raise millions of dollars to support clandestine operations in Latin America, including a guerrilla army. During the infamous 1992 Los Angeles riots the congresswoman repeatedly excused the violent behavior that ironically destroyed the areas she represents in the House. She dismissed the severe beating of a white truck driver by saying the anger in her district was righteous. She also excused looters who stole from stores by saying they were simply mothers capitalizing on an opportunity to take some milk, bread, and shoes. Should this ethically and morally challenged individual, who has repeatedly displayed behavior unbecoming of a federal lawmaker, be at the helm of an influential congressional committee that oversees the financial sector?